Gainsborough Old Hall, at one time was home to Katherine and her husband, Sir Edward. Maud Parr looked to the Northern families for her daughter’s marriage after the deal with Lord Scrope of Bolton did not play out. In the lands of Sheriff Hutton, where her son William had once resided in the Duke of Richmond’s household, Maud found the royal surveyor of the castle, manor and lands, Sir Thomas Borough of Gainsborough, who was a distant kinsman of her husband, Sir Thomas Parr. Both Sir Thomas and his first wife Agnes Tyrwhit were kin to the Parrs and marriage into the family was seen as a suitable solution. Sir Thomas’ eldest son, Edward, was in his early twenties and although almost nothing is known about his character, it appears that his health kept him in a frail condition. Whether his health was frail or perhaps he inherited the bad seeds of his grandfather’s lunacy is uncertain. There were also rumors that Edward may have been homosexual. Whatever the ordeal, Edward was competent enough for his father to allow him the duties and responsibilities of part of his inheritance — he served as both a feofee and a justice of peace. thought by some to be Katherine Parr. Most likely in the Spring of 1529, Katherine, now aged sixteen, set out for Lincolnshire to become the bride of Sir Edward Borough taking with her a wedding gift from her mother of two gold bracelets and a rosary. This was Katherine’s first venture north and given her closeness to her mother and her family it must have made her somewhat homesick. Life at Old Gainsborough Hall with an unfamiliar husband and an over-bearing father-in-law given to violent rages, and the memories of the recently deceased lunatic in the attic must have frightened Katherine. Katherine’s new father-in-law ruled his family with an iron hand requiring absolute obedience. Some time after her marriage, Katherine’s father-in-law had another daughter-in-law, Elizabeth Owen, thrown out of the household and her children with his younger son Thomas declared bastards. Katherine’s husband lived in fear of his own father. In May 1533, at the celebrations for the coronation of Anne Boleyn, Katherine’s father-in-law was severely rebuked for ‘ripping Queen Katherine of Aragon’s [coat of] arms off her barge and for seizing the barge.’ Having been appointed Boleyn’s Lord chamberlain, he maintained a high profile and rode in her barge as she was received at the Tower on her coronation day. Appearing in the procession he wore a surcoat and mantle of white cloth of tissue and ermine as he held the middle of Anne Boleyn’s coronation train. After being involved with the Queen’s affairs of state, Sir Thomas ended up being one of the twenty-six Peers summoned in May 1536 to Anne Boleyn’s trial; which would find her guilty and sentence her to death. In 1541, Sir Thomas would entertain King Henry VIII and his 5th ill-fated queen consort, Katherine Howard. 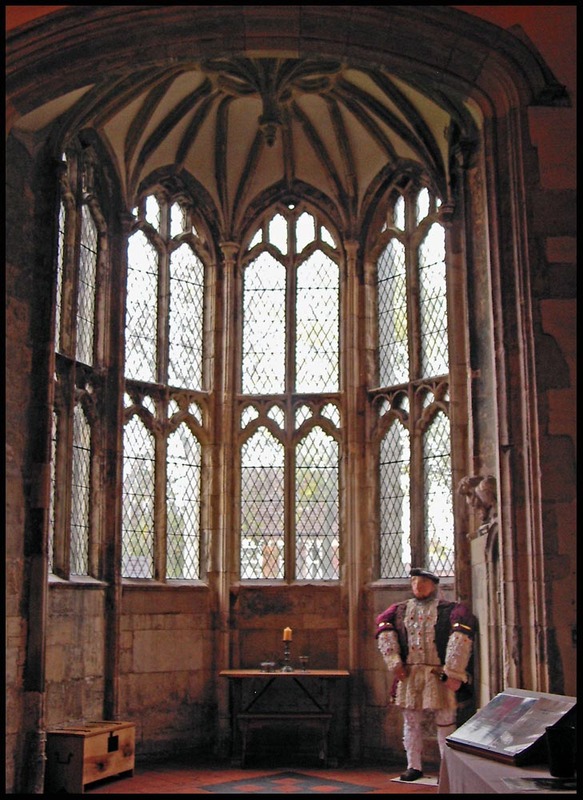 Some ‘historians’ state that during this visit the King was introduced to his 6th and final queen consort, Katherine Parr, but by this time Katherine was now Lady Latimer, wife to Sir John Neville, 3rd Baron Latimer of Snape Castle. Thomas Borough had an ambitious reform-minded chaplain with whom he discussed his opinions in the matter of religion with. The passion for the reformed religion in the household of the Borough’s could have been where Katherine was first introduced to the new religion. Yet Katherine’s duty was not to discuss religion but to bear sons, which she did not do. Failure to do so may not have been all her fault. Having been raised in a liberal and enlightened household maintained by her mother — Edward Borough’s new bride was unused to the paternal tyranny of the household at Gainsborough. If Sir Thomas attempted to intimidate Katherine, he did not succeed. In fact, Sir Thomas came to find that Katherine was made of sterner stuff than his own sons! Another reason for the failure, which may have also put a strain on the marriage, could have been due to Katherine’s marriage portion which had not yet been paid for. For in Maud [Green] Parr’s will, written in 1529, she remarked ‘I am indebted to Sir Thomas Borough, knight, for the marriage of my daughter’. The historical record on whether or not Katherine was ever pregnant by Edward is silent. If she was, certainly none survived to full term or survived infancy. Although her immediate family would have known, they, along with Katherine never spoke of it and there is no record of children by Sir Edward. 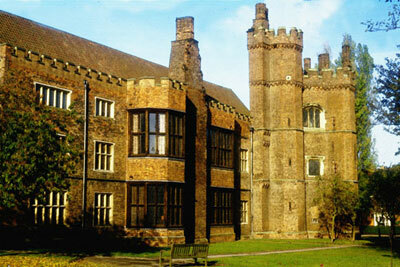 For a time, Katherine and Edward lived with Edward’s family at Gainsborough Old Hall. If Katherine was homesick or unhappy, she had reason to be and wrote frequently to her mother for advice. Her mother would travel north in 1530 to see Katherine and it is most likely at her urging that the couple move out of the Old Hall after two years of marriage. Sir Thomas was a steward to the manor of the soke of Kirton-in-Lindsey, a small village about ten miles above Gainsborough. Thomas was persuaded to secure a joint patent in survivorship with his son. Katherine and Edward moved to Kirton-in-Lindsey. It was a modest residence, but mainly it was away from her in-laws and was a household in which she was the sole mistress. Instead of becoming the passive lady of the household, Katherine took control of her fortunes. But with the joy of escaping the Old Hall came the tragic news of her mother’s death less than a year after she moved. Saint Andrew’s Church, Kirton in Lindsey. A year and a half after the death of her mother, Katherine’s marriage to the fragile Edward came to an end. In 1532, Katherine’s husband was named to the various commissions of peace that held session in the area, but by April of 1533, Edward Borough “Burgh” was dead. Unable to remain at Kirton-in Lindsey, which belonged to her father-in-law, Katherine’s options were limited. Her in-laws showed no desire in having her move back into Gainsborough Old Hall or in even keeping her around. Sir Thomas turned over the income of two of his manors in Surrey and one in Kent as her dower and that was the end of it. With no children from her marriage to Edward, she no longer had ties to the Borough’s and was most likely more than happy to be rid of them. As a young widow barely out of her teens, Katherine found herself with little money, no home and no support system among her late husband’s circle. Katherine found herself all alone with the question of what to do and where to go. *Notes: Until recently, many sources online stated that Katherine married the elderly Edward Burgh, 2nd Baron Burgh in 1529 [and some as early as 1526], at the age of seventeen, but the 2nd Baron died in August 1528. Truth be told that since Antonia Fraser’s release of The Wives of Henry VIII in 1994, and David Starkey’s 2004 release on the six wives, Katherine’s first husband has been identified as Sir Edward Borough. For seventeen years the preconceived notion that Katherine married the elderly 2nd Baron has been posted on many websites including Wikipedia. Some blame could be attributed to 19th century historian Agnes Strickland’s book on the Queens of England, Alison Weir’s book on the six wives [which seems to be a romanticized version of Parr’s life with sources from Strickland’s Victorian biography], lack of research, or lack of interest in Katherine. Coincidentally, recent interest in Parr sparked the release of two biographies on Katherine by Susan James and Linda Porter. In both books, research of documents and the will of Katherine’s mother confirm that she married the 2nd Baron’s grandson, who shared his first name. Sir Edward Borough was the eldest son and heir of the 2nd Baron’s eldest son and heir, Sir Thomas Borough, who would become the 1st Baron Burgh under a new writ in December 1529 after his father was declared insane and was never called to Parliament as the 2nd Baron Borough. In her will, dated May 1529, Maud Parr mentioned Sir Thomas, father of Edward, saying ‘I am indebted to Sir Thomas Borough, knight, for the marriage of my daughter‘. At the time of his son’s marriage, Thomas, was thirty-five which would have made Edward around Katherine’s age. Edward was in his twenties and may have been in poor health. The younger Sir Edward Borough died in the spring of 1533 never fulfilling the title of Lord (Baron) Borough. Biographers of Katherine Parr, Susan James and Linda Porter, state that the younger Sir Edward Burgh died in the spring of 1533. Others state ”before April 1533”. Primary: James, Susan E. Kateryn Parr: The Making of a Queen. Aldershot, England: Ashgate Publishing Ltd. 1999. pg. 60-63. – Douglas Richardson, Kimball G. Everingham. Magna Carta ancestry: a study in colonial and medieval families, Genealogical Publishing Company, 2005. pg 838.
 Letters and Papers, Foreign and Domestic, of the Reign of Henry VIII; I, i, no. 563 (10). M.E. James, ‘Obediance and Dissent in Henrician England: The Lincolnshire Rebellion, 1536’, Past and Present, 48 (August 1970), 3-78. [2.1] Letters and Papers, Foreign and Domestic, of the Reign of Henry VIII; 2, i, no. 1363.
 Letters and Papers, Foreign and Domestic, of the Reign of Henry VIII; 5, no. 1694, and II, no. 943 (7). National Archives, London. PROB: 11/24; Image Reference 149/110. *The wording of Maud Parr’s will implies that Katherine’s marriage had only recently taken place and the making of the will itself may have been inspired by the recently concluded marriage of Lady Parr’s eldest daughter. Letters and Papers, Foreign and Domestic, of the Reign of Henry VIII; 6, p. 241. Cole, Robert Eden George. 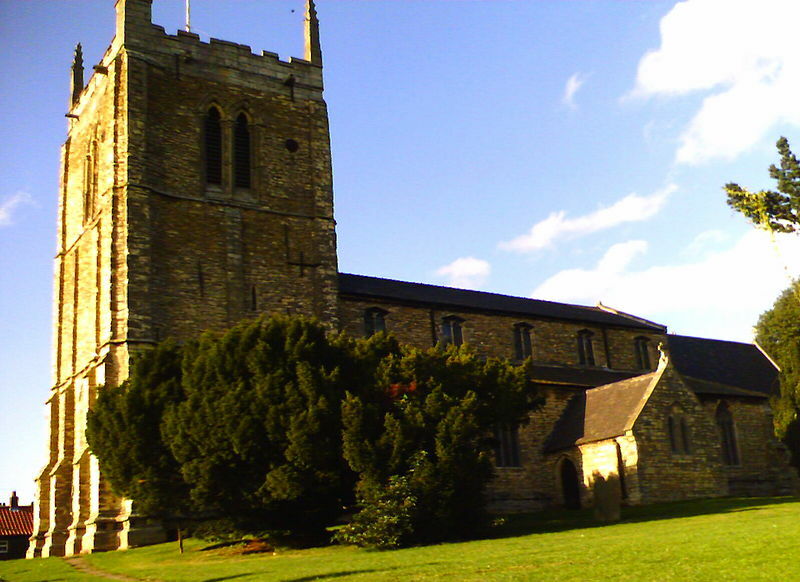 History of the manor and township of Doddington, otherwise Doddington-Pigot, in the county of Lincoln and its successive owners, with pedigrees. James Williamson, Printer, 1897. pg 41-50. Porter, Linda. ‘Katherine the Queen’. Macmillan, 2010. pg 55.
 Letters and Papers, Foreign and Domestic, of the Reign of Henry VIII; 12, ii, no. 187(6). This entry was posted in Life before 1543, The Family of Katherine Parr and tagged Agnes Tyrwhitt, Boroughs of Gainsborough, first husband of catherine parr, first husband of katherine parr, gainsborough old hall, Lady Borough, maud parr, sir edward borough, sir edward burgh, Sir Thomas Borough by tudorqueen6. Bookmark the permalink. This is a great article on Katherine Parr’s first husband.